Crazy idea: a home-based church network where resources go toward people, not buildings. The A Group loves making crazy ideas a reality, so when Cross Waves Church needed help positioning their twist on the traditional church model, we dove in. 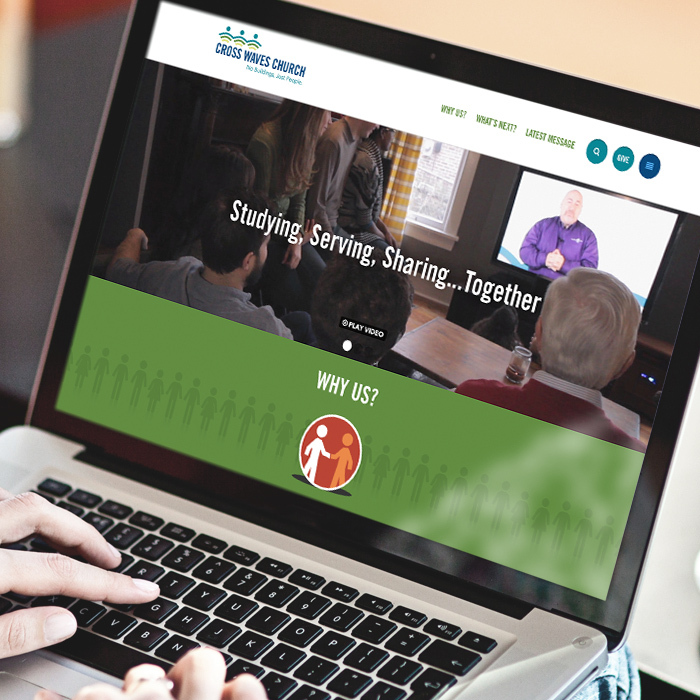 This growing network of home groups needed a distinctive brand and website to bring its message to the homes across the globe. The A Group developed a marketing plan that helped the ministry articulate its unique mission and attract new participants. Through logo development, video production, and an expansive online community platform, Cross Waves Church is now using technology to train leaders, spread the gospel, and meet weekly in a living room near you.